So you can see that personal branding is everywhere. We all have developed a personal brand over the years (most of us without even realizing it) that other people use to associate us with certain things. So like the quote stipulated, personal branding is all about recognizing what your brand is and using its strengths to your advantage. As an actor, it’s going to be essential that you realize your brand and make sure you cultivate it yourself, instead of letting it be the one to define you. 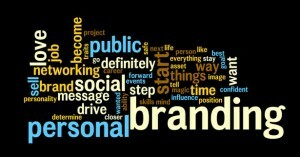 What’s the purpose of a personal brand? Obviously, first and foremost the purpose of developing a strong personal brand is to get more work, to improve your career, and to become more successful at whatever it is you do. A personal brand is all about leveraging yourself so you can influence the particular target market that you’re trying to reach. Your goal is to become a leader in your industry by clearly communicating your brand to your audience and what it is you have to offer. You’re building a promise with your audience about what you can provide them. The strongest brands have perfect alignment between what they promise to offer customers or fans and what they end up delivering. By executing a strong personal brand you will show your followers why you’re different and have something to offer that no one else does, that you’re exceptional at something in particular and always put forth great work. You will also show that your brand is a real person and accurately depicts who you are, what you represent, and that you’re passionate about what you do. Is your personal brand the same thing as your personal image? No, your personal brand and personal image are different. Your personal image is the set of qualities that your friends would say to describe you, such as your physical characteristics, style, personality, likes and dislikes, and so on. 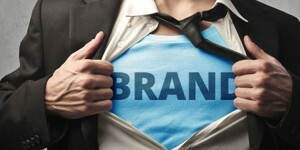 While your personal brand is how others will perceive you, particularly in a work setting. Your personal image is something that people will formulate, who know you and have been friends with you before, but a personal brand is more how the public will perceive you and the work that you do. They say that in the best circumstances, your personal image will be a direct reflection of your personal brand. But it doesn’t have to — people do go out and create personas that are slight or extreme exaggerations of who they are as a person all the time. 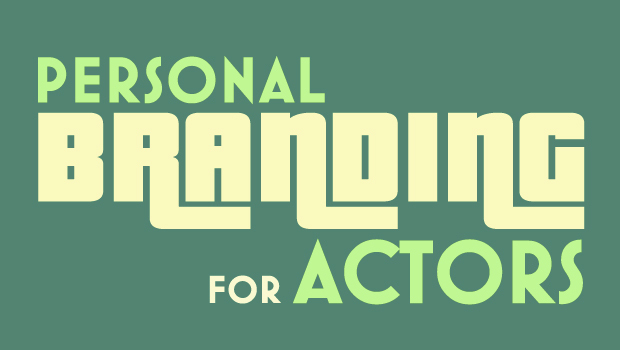 Why is personal branding so important for actors and entertainers? 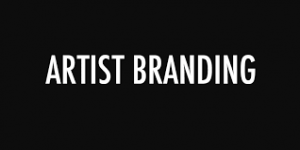 Personal branding is especially key for performers because you are your product — your look, talents, and physical body is your selling tool for landing jobs. This is why being cognitive of your brand and creating something that’s authentic to you and your skill set is going to be a big difference maker in the success of your career. Also, there is simply too much competition and too many people in your same talent and look bracket that you have to find a way to create an advantage for yourself. You do this by creating a strong personal brand that sets you apart, highlighting what makes you uniquely you. 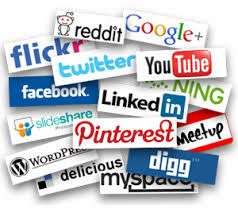 What are some key platforms that actors should use to execute their personal brand effectively? Website & Social Media: In order to effectively build and maintain a personal brand, you will have to be active in the online space. That’s where you’ll be able to build communities of fans and followers, as well as get the most traction with the least amount of work. If you’re serious about developing a strong brand for yourself, then you need to create a network hub online where you’re active in conversations and people can have access to your work and contact information. YouTube (web series/comedy channel): Again, we’ve touched on this before but creating your own projects on YouTube is the most common theme nowadays for performers and comedians. It’s a way to potentially avoid the long and tedious audition process and build an audience for your work, which can bridge you into more traditional film opportunities if you get enough attention with your channel or web series. A prime example is Workaholics, which started as a series of videos on YouTube and is now going into its fifth season on the Comedy Central network. Blogging: While creating an actual written blog will take a lot more time and effort, it’s definitely a great way to actively build your personal brand. By building a voice through your writing, you will be able to reach your desired market and connect with other actors who’re going through similar experiences as you. Considering how tough the business is, finding other like-minded people is going to help you to build confidence and gain some different insights and perspectives into the industry. So now that you have a little more insight into where you should be going to build your personal brand, what are some of the golden rules to make sure you do things right? There are too many bloggers, brands, and companies online that give off muffled messages to their followers. You have to be so clear to your audience about who you are and what you do. It’s important to have a niche and a very focused area that you excel in and provide value to your customers. You know what they say, “why do a few things good, when you could do one thing great.” You’re a performer so your message should be very clear to your audience about what you do. Be authentic and inject your personality into your brand: As an actor, your brand is YOU and what can bring to the different characters you play. Just like you would in the audition room, you want to show off your personality and give everybody a taste of the type of person you are. You need to show people that you would be a pleasure to work with and are a quality person on top of your acting skill. You can do this by talking very openly and candidly to your followers online and creating a real person who others can relate to. Most importantly, just be yourself and leave your ego out of it. There are enough people who achieve a little bit of “social media fame” and think they’re King of the Net. Also, if you want to gain an advantage over others and give people something unique, then just be yourself, as nobody will see things exactly the same way you do. You must have passion for what you’re doing: Obviously your brand will suffer if you don’t love what you’re doing. Treat your own brand as a labour of love and a unique voice that others can connect with. If you don’t love what you do and force your way through it, people will be able to tell and you will lose motivation over time to continue building your brand. Simplify your message: The best brands communicate a lot of information with very little. That’s because a strong brand is simple but it ignites a very specific emotional response. For you, it will come down to communicating very simply what you do and what you can offer your followers. Perhaps it’s just a fan page where people can follow you and ‘like’ you if they know your work, but if you want to create a stronger brand then you will need to provide value to your followers and communicate what that value is. Is it acting tips? Funny quotes? Hilarious articles that you find, or write? Find out what your message is and make it simple. Engage your followers: This is one of the least interesting social media tidbits, but it’s always important to mention because people often forget about it or get too lazy and don’t do it. Always make sure you’re engaging with your followers as often as possible to create that two-way dialogue. Be relevant: Particularly if you’re a blogger, it’s key that you keep up with current trends and themes so that you’re topical and people see a reason to read your stuff. Always make sure you read about what’s going on in the industry just as often as you’re writing about it. Working on carving out your personal brand is going to take a lot of work, there’s no denying that. But will it be worth it? What will be the end result? Well…there are a lot of positive outcomes that will arise from working hard and being consistent with your personal brand. For starters, you will start to gain attention from some key influencers in your industry if you’re active enough in the conversations in your industry. Important people will take notice and begin to follow you and start connecting with you. Secondly, you will start to create a community of like-minded followers who will boost your credibility in your industry. For example: if you go to an audition and the casting director looks you up online and sees that you have your own website and blog that’s professionally done, samples of your work on YouTube, as well as have a Facebook page and Twitter with thousands of followers, how much more likely will he be to cast you? Definitely more so than if you had absolutely no information about you online. Thirdly, not only will more opportunities come to you, but also more of the right opportunities will come to you. That’s because you have created a very strong personal brand that is directly in line with who you are as a person and what you can offer as a performer. Lastly, you will become a leader in your industry and will be perceived of someone who is an expert. That’s exactly what personal branding is all about, figuring out what you love to do and what you’re good at, and then strategically carving out a space for yourself that is in line with your goals and aspirations. We’ve all been creating a personal brand in our lives, but most of us have been doing it passively. It’s now time that you take control and start to take the active steps to understand what yours is and make sure you’re communicating it to the world in the right way. So do so by creating something that is authentically you and something you can be excited about growing into the future.